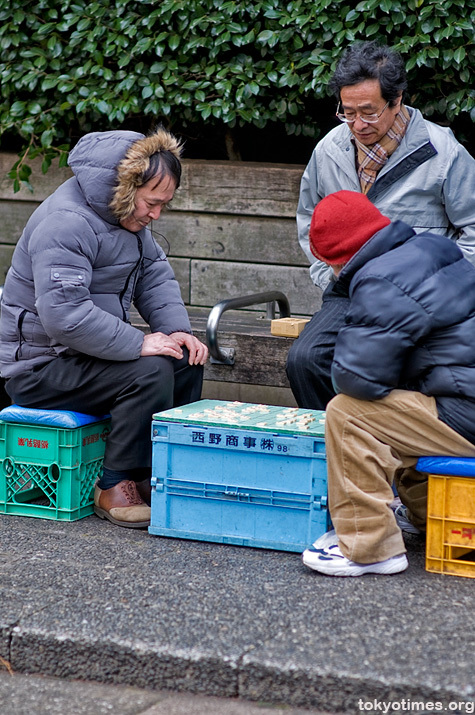 When it comes to entertainment, Tokyo arguably offers more than what’s manageable — sometimes even what’s unimaginable; however, more often than not such activities require cash, and quite often considerable amounts of it too. 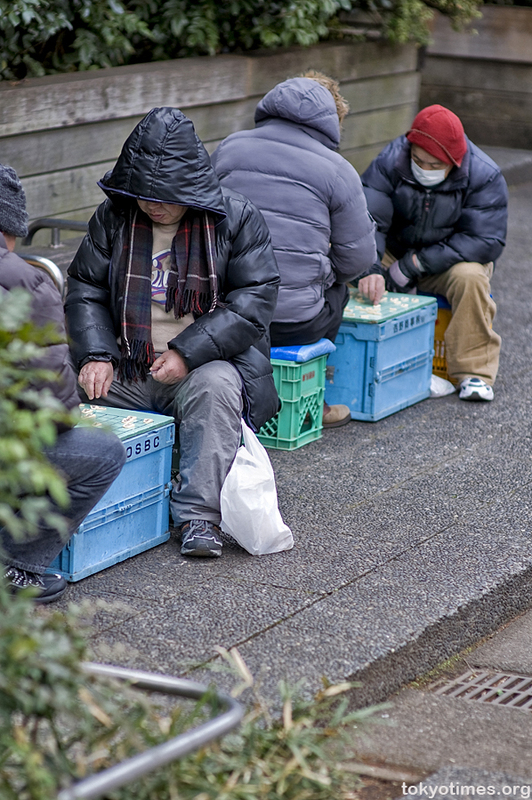 But that said, there are alternatives, and whilst a calming and yet competitive game of shogi in the park may well be cold, it costs next to nothing. Which for some may well be seen as essential. pic has his hood pulled down low cuz he’s in to the yaks for about 500ä¸‡. If you are more interested in shogi, good videos are available to watch on YouTube. Please check them out. First time I saw Shogi game was in Ranma 1/2 anime episodes.